If you planted a green peppers this year and had an abundance of green peppers like I did, then you will want to save this recipe for next year! 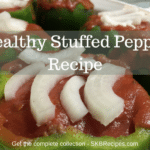 This healthy stuffed pepper recipe is super easy and tasty! 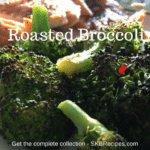 At SKB Recipes, we love baked dishes because they’re healthy and can often be made ahead. There’s also usually leftovers to bring for lunch the next day, which is great for saving money on the grocery bill or eating out. Plus, it’s all the aspects of your meal – protein, starch, veggie – all in one place. 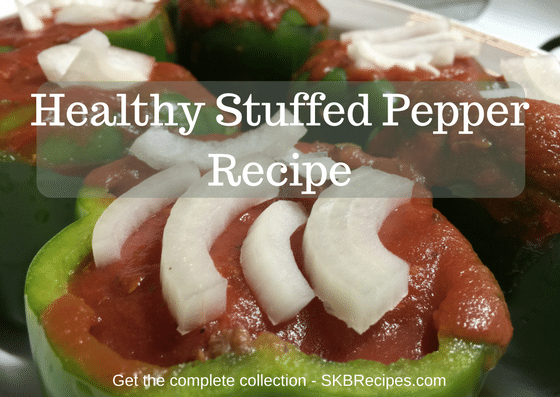 My family loves this healthy stuffed pepper recipe for dinner and it’s super convenient for me. I make them up ahead of time and bake them when I get home. Even though they need an hour in the oven, that timing works out perfectly. My daughter can start on her homework and my husband and I have a chance to unwind a little before sitting down for the family. And my husband loves bringing the leftovers to work – his coworkers get a little jealous, too, I hear. While we typically grow and use green peppers in this yummy casserole, I know it would be great with yellow, orange, or red peppers too. 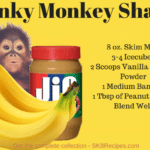 They’re a little sweeter and offer slightly different nutritional benefits, too. What’s your favorite bell pepper color? If you’ve never made a baked dish before, don’t get overwhelmed. They’re very easy and there’s not a lot of prep work involved. However, it’s important to use the right baking dish. I’m a huge fan of Pyrex baking dishes. They heat evenly, don’t break, and are oven safe at any reasonable temperature. Plus, they’re really affordable and come in a variety of shapes and sizes appropriate to any baked dish recipe and any size family. In a frying pan over medium heat, cook the burger until evenly browned and drain. While the burger is cooking, cut the tops off the peppers (save any that remain whole but not necessary to do so) and remove membranes and seeds from the insides. Place peppers in a deep baking dish with the holes facing up. If peppers do not site evenly, cut a thin piece off the bottom to make level. Do NOT cut a hole in the bottom of the pepper. Reserve half of the tomato sauce and italian seasoning. Mix the rest of the ingredients in a bowl. Place any tops of peppers that remained in tact back on top of the stuffed pepper. Mix remaining tomato sauce and italian seasoning in a bowl. Pour mixture evenly over peppers. (If making peppers ahead, save this final step until you are ready to cook). Place a few pieces of onion on top of each pepper. Cover and bake 1 hour. Baste every 15 minutes. What are some of your favorite baked dishes? Share the recipe in the comments below! We just might feature it on the blog!